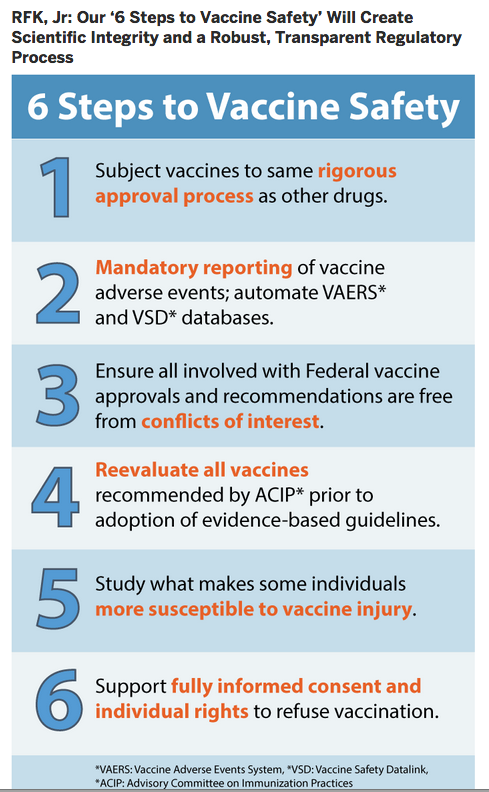 The 1986 National Childhood Vaccine Injury Act gave full indemnity to vaccine makers and providers in exchange for the promise that HHS would ensure vaccine safety was made a priority. The ICAN notice requests confirmation that certain obligations regarding vaccine safety required under the 1986 Act have been fulfilled or will forthwith be fulfilled. In keeping with the federal HHS notice, Informed Choice Washington is examining Washington State Law and locating sections of the RCWs that create conflicts of interest, and/or obligations the state has failed to apply in regards to vaccination. We are actively informing government officials and vaccination policy stakeholders regarding both the ICAN Notice and our intent to improve safety in WA through legislation and policy reform. Please see notices below. September 20, 2017 ICWA calls for WA State to Take Action on influenza Vaccine Safety Signal and Fully Informed Consent. Read Here. October 19, 2017 ICWA Provides Notice to the WA DOH Vaccine Advisory Committee Meeting Members on Deficiencies in the National Immunization Program and State Program. Read HERE. 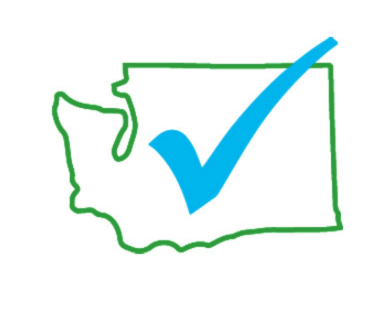 October 23, 2017 ICWA Provides Notice to the WA State Board of Health on Deficiencies in the National Immunization Program and State Program, and provides Public Comment on Proposed changes to Criteria on which vaccination school requirements are based. Read HERE. 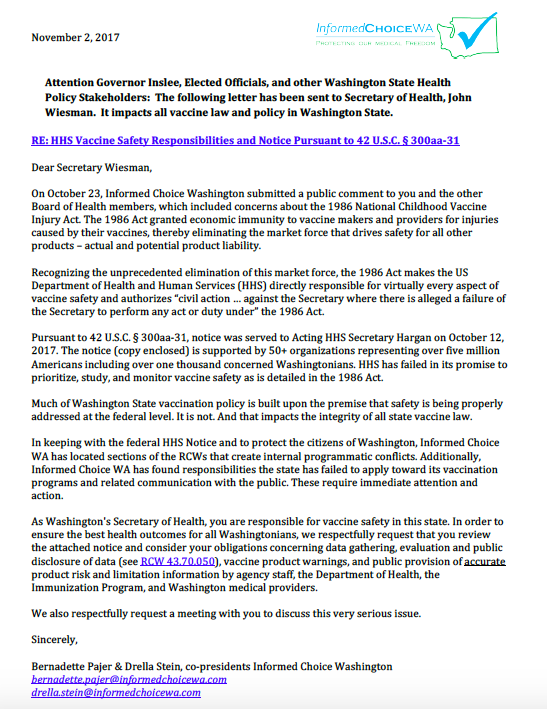 November 2, 2017 ICWA delivers HHS & WA State Vaccine Safety Notices to Secretary of Health Wiesman, Governor Inslee, Senate & House Health Care Committees, and other Vaccine Stakeholders.